It is an extreme privilege to work with very knowledgeable, capable and professional people within the Fire Prevention and Training Divisions. The role of assisting these extraordinary employees is providing them with whatever resources they need to complete their extremely important tasks within their respective Divisions. These Divisions were created to assist you. Please know that they are available to meet your needs. If there are any other resources that we can provide to you, please contact us. The High Point Fire Department's Fire Prevention Bureau, led by Fire Marshal Chris Weir, is committed to the prevention of loss of life or injury and property damage through code enforcement, fire prevention education, and fire investigations. For permits please visit this Division. For questions please call Fire Marshal Chris Weir 336-883-3617. 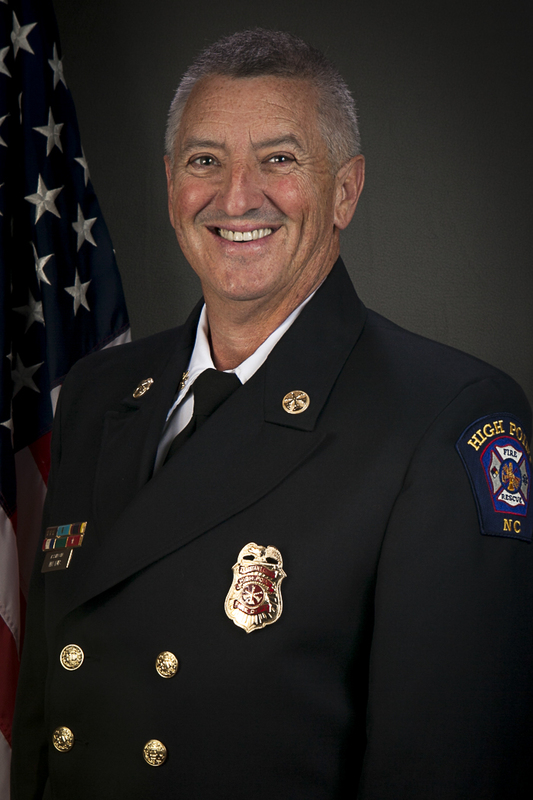 The High Point Fire Department’s Training Division is led by Chief of Training Sidney Shoaf. Chief Shoaf and his training staff is dedicated to education and training of all personnel from the time of employment throughout their career with the High Point Fire Department. For questions please call Training Chief Sidney Shoaf 336-883-3541.